The idea that social policy and practice should be underpinned by rigorous evidence is internationally accepted, yet billions of pounds are spent each year on programmes with little rigorous evidence on the impacts of these initiatives. And despite decades of producing excellent research, we still encounter problems of getting this integrated into decision-making. We produce research, discussion papers, guides, and case studies, and monitor evidence-use by government and politicians. We convene small groups on specialist topics in roundtables, as well as large conferences and summits, to encourage debate, discussion, collaboration and innovation, and to share insights on what works (and what doesn’t). For example, our Evidence vs Democracy report sets out the case for how mini-publics can help democracy connect with evidence. We deliver a range of training courses and workshops, from our flagship Evidence Masterclass, to more bespoke strategic support such as our theory of change workshops. We also offer free downloadable resources, including the heavily downloaded Using Research Evidence practice guide. We always work with others – with champions, partners and allies. 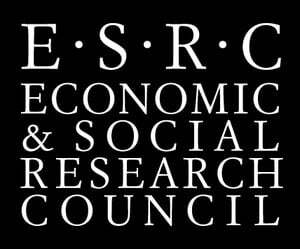 We collaborate to campaign for the better use of research, evidence, evaluation and data to inform social policies and programmes – for example, on Manifesto Checks for political parties, Evidence Transparency in Government, and a Best Use of Evidence Prize for Politicians – and we advise organisations on how to use evidence effectively. We promote our work through our open access network of more than 4,300 individuals from across government, universities, charities, businesses, and local authorities in the UK and internationally. Alliance membership is free and open to everyone. Want to join us? Sign up here! Anna's role involves conducting research and writing reports and case-studies to champion the use of evidence in social policy and practice. Emma is Senior Research Officer at the Alliance for Useful Evidence and the Wales Centre for Public Policy. As Team Administrator, Julia provides organisational support to the Alliance for Useful Evidence team.